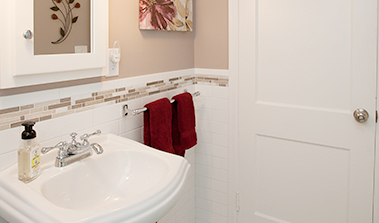 “Nate and the entire crew at Arbor Haus did a great job on our bathroom remodel. We, like a lot of people, sit and watch all the remodeling shows on HGTV and see some of the horror stories and difficulties a lot of people experience. So we were naturally nervous as this was our first big project. But Arbor Haus was top notch! Everyone was readily available and whenever we had questions, someone answered right away. The craftsmanship was great too – I am a woodworker myself and was very curious to see how our custom vanity would turn out – and I was thoroughly impressed – from the dovetail joints in the drawers to the beautiful paint work. The tile setter for our shower and floor did great work – we get great comments about the tile! Nate’s carpenter also did a great job – we had a wall removed as well as a new window installed in our old brick 1940s house. It fits perfect and looks great. “Nate, I wanted to commend not only yourself and your knowledge and expertise, but the entire crew that you sent out to our house. If you recall, we had you install three new Marvin windows as part of a remodel we were doing to our house. The guys that you sent out where the best!! They showed up on time, did what they said they were going to do with a high attention to detail and concern for quality, and cleaned up at the end of each day. They treated my home as if it were their own, and that’s not always a common occurrence in today’s trade industry. 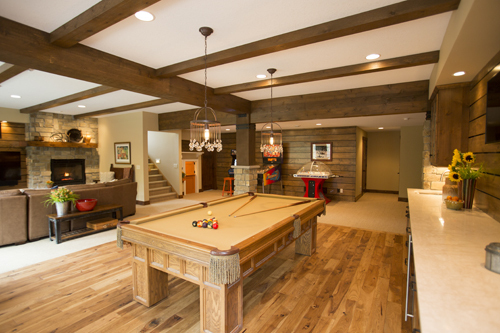 “Arbor Haus is quickly changing the model of how renovators and builders treat their clients. Their open-pricing policy was certainly appreciated. Pulling back the curtain on bids and actually pricing kept our project on budget, and on time as there were few if any questions needing to be answered. No problems went unresolved. Each one was handled quickly and with respect to our wishes. 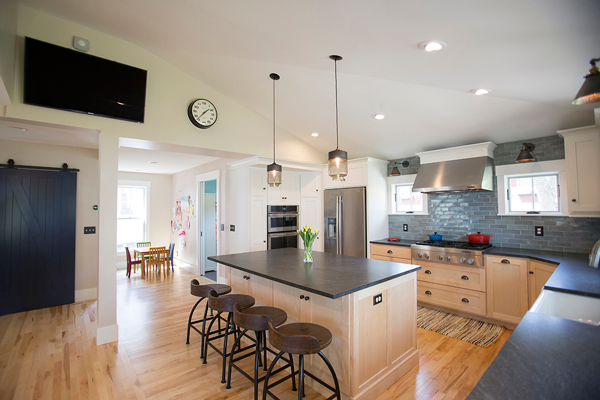 “My wife and I remodeled our laundry room and entry space leading from the garage into the kitchen. 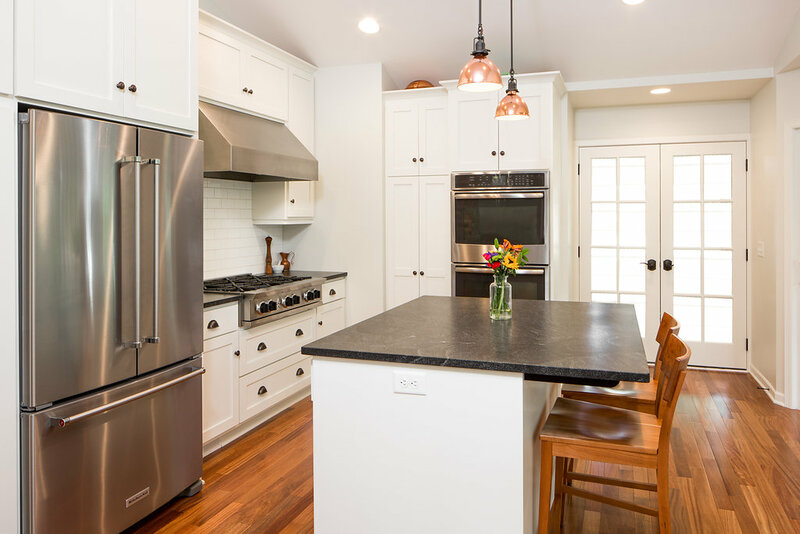 What was once a very unusable space, especially with the three children under 5, was transformed into a beautiful, modern, utilitarian area that has proved to be worth every penny. The sub-contractors were great and trustworthy…we felt very comfortable having them at our house regardless if we were home or not. They interacted with the kids and my wife…in fact, everyone was a little sad when the project was over and they didn’t show up anymore. The quality of work was excellent. If anything wasn’t perfect Nate worked with the sub-contractors to resolve the issue in a manner that met our expectations. The crew did some minor odd jobs around the house per our request without nickel and diming us. 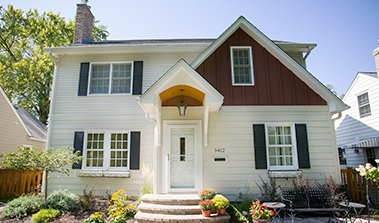 “We couldn’t be happier with the work done by Nate and his professionals on our 100-year-old home! We created living space in the unfinished half of our lower level, and turned an open back porch into an enclosed mudroom. Right from the beginning, Nate made it a priority to be familiar with our design tastes and aesthetic, using digital media and technology to share ideas and inspiration. That way, he could anticipate our preferences both in large-scale structure and in finishing details–a fantastic skill in the person who will lead your project. In addition, his communication skills are top-notch. Whether in person, on the phone, through BuilderTREND or via text, what sets Nate apart is his ability to efficiently coordinate and organize many people, schedules and deadlines AND consistently and openly keep the homeowner up-to-date on progress and plans in the way that we preferred to communicate. His attention to detail is enviable–it was great to know and trust that he had a handle on all of the day-to-day details as well as the vision of the big picture. 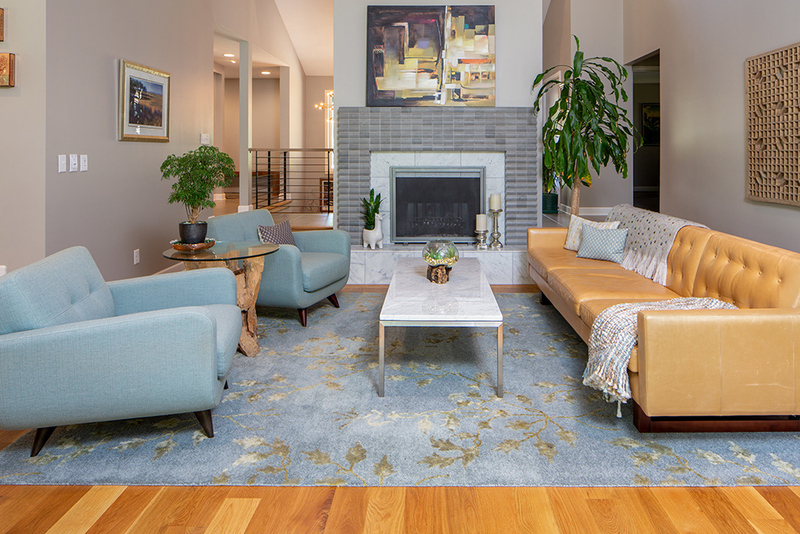 Nate and his staff have earned the trust and loyalty of some of the most skilled, experienced and professional subcontractors in the Twin Cities area. Every step of our project involved high-quality work and materials, and we felt comfortable every day opening our home to every person who shared their talents here. The bids provided were fair, and every effort was made to get a clear picture of the scope of work before beginning, so that there were fewer changes necessary along the way. Nate is a person of integrity, and works with people who value the same things.